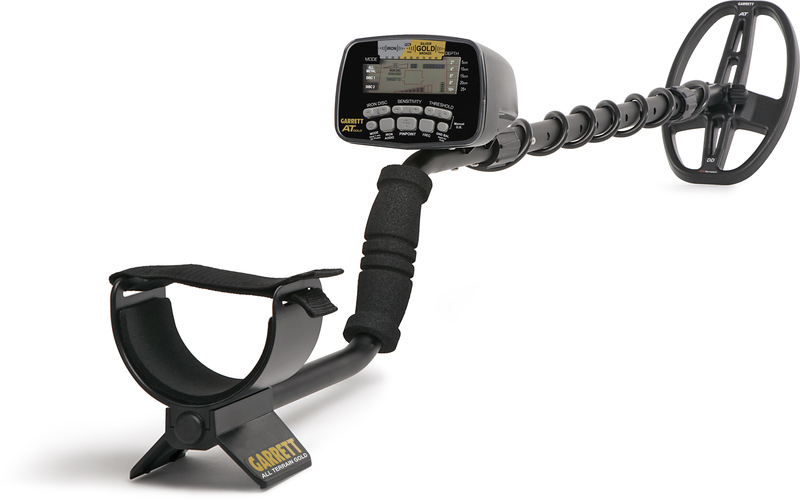 Garrett has designed the coil on this "AT" gold detector to reach up to ten feet deep in water and has a 5″ by 8″ double D search coil. This Garrett AT gold is not only limited to gold but has several option to help you find treasures such as coins, jewelery, relics, and any other metal items under water or out on the soft beach sand. This garrett machine has a iron scale that reads up to 40 points. This gives you the capability to discern from metal that might be of little value so you don't waist your time digging for junk. This audio feature allows you to here iron objects even when you are operation in the "true all-metal mode".